The King's Body offers a unique and up-to-date overview of a central theme in European history: the nature and meaning of the sacred rituals of kingship. Informed by the work of recent cultural anthropologists, Sergio Bertelli explores the cult of kingship, which pervaded the lives of hundreds of thousands of subjects, poor and rich, noble and cleric. His analysis takes in a wide spectrum, from the Vandal kings of Spain and the long-haired kings of France, to the beheaded kings of England and France, Charles I and Louis XVI. Bertelli explores the multiple meanings of the rites related to the king's body, from his birth (with the exhibition of his masculinity) to the crowning (a rebirth) to his death (a triumph and an apotheosis). We see how particular occasions such as entrances, processions, and banquets make sense only as they related directly to the king's body. Bertelli also singles out crowd-participatory aspects of sacred kingship, including the rites of violence connected with the interregnum (perceived as a suspension of the law) and the rites of expulsion for a tyrant's body, emphasizing the inversion of crowning rituals. First published in Italy in 1990, The King's Body has been revised and updated for English-speaking readers and expertly translated from the Italian by R. Burr Litchfield. Deftly argued and amply illustrated, this book is a perfect introduction to the cult of kingship in the West; at the same time, it illuminates for modern readers how strangely different the medieval and early modern world was from our own. 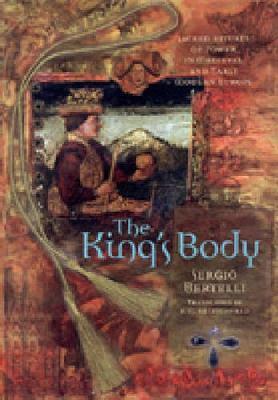 "The King's Body is an important book that should engender controversy and excitement. Bertelli shows that kings in the European tradition were truly sacred in ways that need to be taken seriously. Following in the footsteps and expanding the work of Ernst Kantorowicz, Bertelli changes the way we understand premodern kingship, government, and society." "Relying on minute details and exhaustive research, Bertelli demonstrates that from the early Middle Ages up through the 17th century the centrality of the sovereign provided the key element in maintaining the order of society. . . . In rich detail, Bertelli looks at sacred rituals surrounding birth, enthronement and death that defined kingship, showing that in the Middle Ages the modern distinction between the political and the religious did not exist." "Ably translated from the original Italian by R. Burr Litchfield (Professor of History, Brown University), The King's Body: Sacred Rituals Of Power In Medieval And Early Modern Europe by Sergio Bertelli (Professor of History, University of Florence) presents an amazing and scholarly focus on a critical piece of European history: the nature and meaning of the sacred rituals associated with kingship. From the Vandal kings of Spain to the long succession of kings in England and France, The King's Body explores the multiple significance of rituals from birth to crowning and death. Very highly recommended for anyone with a keen interest in the history of the European monarchies, the black-and-white illustrations of classical artwork enhance this scholarly and serious historical analysis." "The King's Body constitutes an intellectually powerful and imaginative, yet also highly accessible, treatment of the public culture of monarchical rule in medieval and early modern Europe, as well as its weaknesses and ultimate demise." "In a well-organized, well-documented, and thought-provoking study, Bertelli explores the sacred rituals of power that surround kings, emperors, and popes from the late Roman Empire to the execution of Louis XVI."